Saigon Cinnamon has the highest natural oil content of any cinnamon (nearly 5%) giving this a magnificent flavor and aroma. You can use this fantastic cinnamon in savory as well as sweet dishes, it adds a wonderful warm and spicy note to long-cooked dishes like soups and stews. Sprinkle over finished desserts, ice cream and whipped cream! 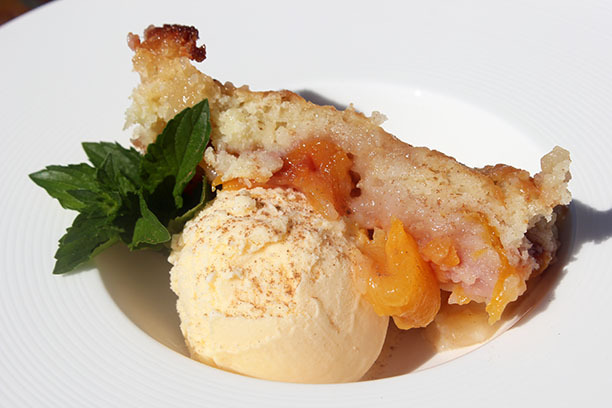 I have never had a true Peach Cobbler so I asked my Southern friend how best to make one. Super simple and fabulous! Not exactly a light and healthy dish, but an indulgence to be savored! I love how you add the ingredients and how they shift during baking! A cold glass of iced tea was fantastic with this dessert. Another new exotic spice blend to try! Shawarma is a Middle Eastern, Mediterranean spice mixture that is hand blended with cumin, coriander, garlic, paprika, tumeric, black pepper, cloves, cayenne and cinnamon. This truly captures the fabulous flavors of authentic Shawarma. I chose to make a salad with the marinated and roasted chicken and added hummus, cucumber and tomatoes, cabbage and a cilantro dressing. So delicious, healthy and amazingly fresh tasting. 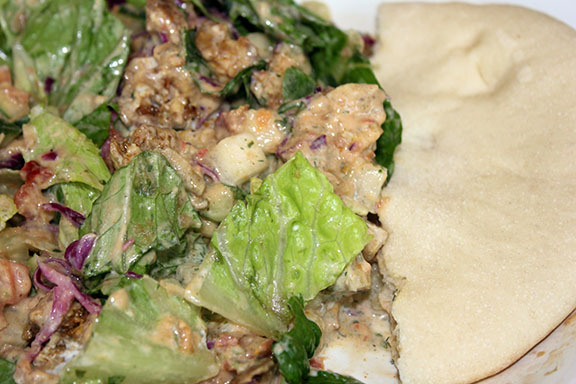 Perfect salad for dinner on a warm night or serve hot in pita bread for a cold night. Everyone loved this! We enjoyed an ice-cold glass of Pinot Grigio with this meal.